And then Donald Trump took office, sending tumult into overdrive. 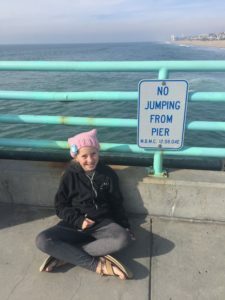 Suzy Nece, a Manhattan Beach-based yoga teacher and founder of Yoga Loft, has seen and felt the fraying, in everyone from her students to her nine-year-old daughter Izzy. “Being an empath is a dirty job these days,” she said. So Nece had an idea — to bring people emphatically together on a beautiful Sunday morning at the Manhattan Beach pier just to sit down and take a few deep breaths. 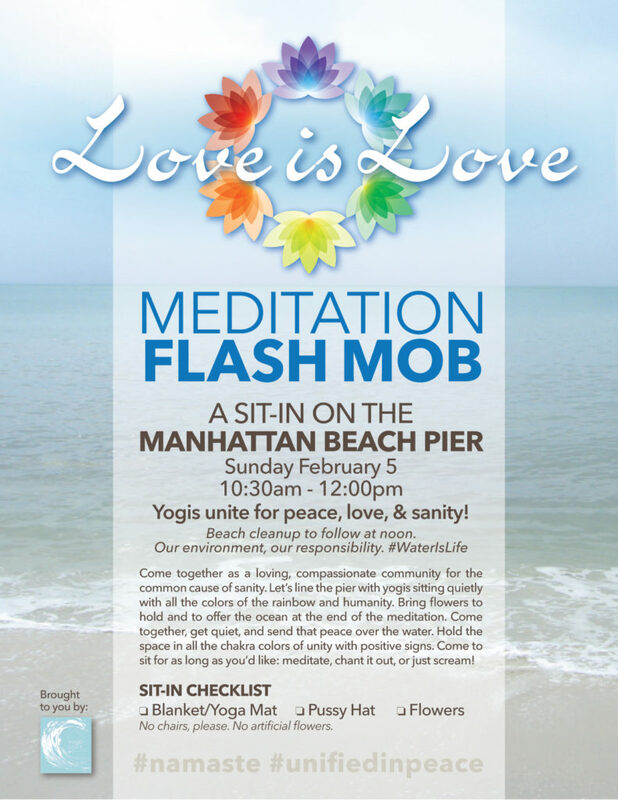 The “Love is Love Meditation Flash Mob” takes place tomorrow morning from 10:30 a.m. to noon, with a beach cleanup to follow. The idea is to let the power of community and positivity quietly take reign. The Yoga Loft has led such meditations before on the pier, but this one, Nece said, seems particularly essential. “To spread some f****ing sanity,” she said. “Plus us hippies love to wear flowers in our hair.